Feldene, "Arantil", "Brexidol", "Brexin", "Erazon", "Exipan", "Faxiden", "Felden", "Feldoral", "Flamexin", "Hawksone", "Hotemin", "Lubor", "Mobilis", "Pirox von ct", "Proponol", "Reumador", "Remox", "Roxam", "Sinartrol", "Toricam", "Tracam", "Ugesic", "Veral" and "Vurdon"
C (AU) C (US) D, if used during the 3rd trimester; may cause ductus arteriosus. Piroxicam (in some countries spelled "Piroksikam") is a non-steroidal anti-inflammatory drug (NSAID) of the oxicam class used to relieve the symptoms of rheumatoid and osteoarthritis, primary dysmenorrhoea, postoperative pain; and act as an analgesic, especially where there is an inflammatory component. Piroxicam works by preventing the establishment of a certain type of body chemicals which contributes to inflammation, pain, stiffness, tenderness and swelling. 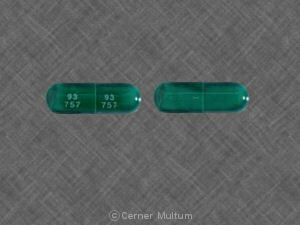 The medicine is available as capsules, tablets and (not in all countries) as a prescription-free gel 0,5%. It is manufactured by Pfizer under the tradename Feldene, and is available in Canada, the UK, Spain, Portugal, Belgium, Australia, Italy, Brazil, Indonesia, Pakistan and the United States, and under the tradename Brexidol in the Scandinavian countries. It is also manufactured by Bosnalijek under the tradename Roxam, and is available in Eastern Europe including Russia, Africa, and the Middle East. In India, it is available by the tradename Dolonex. In Thailand it is available by the tradename Fasden. It is manufactured as a patch in Korea for use in China under the trade name Trast.. It is also used in veterinary medicine to treat certain neoplasias expressing cyclooxygenase (COX) receptors, such as bladder, colon, and prostate cancers. 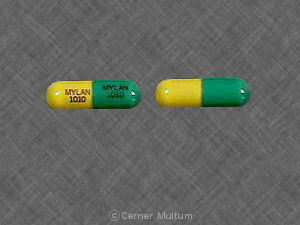 Piroxicam is an NSAID and, as such, is a non-selective COX inhibitor possessing both analgesic and antipyretic properties. It undergoes enterohepatic circulation. Piroxicam use can result in gastrointestinal toxicity, tinnitus, dizziness, headache, rash, and pruritus. The most severe adverse reactions are peptic ulceration, gastrointestinal bleeding, and severe skin reactions including Stevens–Johnson syndrome and toxic epidermal necrolysis. Approximately 30% of all patients receiving daily doses of 20 mg of piroxicam experience side effects. In rare cases, piroxicam may cause skin to become more sensitive to sunlight. The reaction of saccharin with sodium hydroxide results in substitution of the imide hydrogen atom of saccharin with sodium, giving a sodium salt. The resulting product is reacted with methyl chloroacetate, giving the saccharin-substituted acetic acid methyl ester. Upon reaction with sodium methoxide in dimethylsulfoxide, the product undergoes rearrangement into 1,1-dioxide 3-methoxycarbonyl-3,4-dihydro-2-H-1,2-benzothiazin-4- one. This product is methylated at the nitrogen atom using methyl iodide, giving. Finally, reaction of the resulting product with 2-aminopyridine gives piroxicam. Isoxicam, 1,1-dioxide 4-hydroxy-2-methyl-N-(5-methyl-3-isoxazolyl)-2H-1,2-benzothiazine-3-carboxamide, is synthesized analogous to piroxicam, using amidation of 1,1-dioxide 3-methoxycarbonyl-3,4-dihydro-2-H-1,2-benzothiazine-4-one in the last stage with 3-amino-5-methylisoxazole, instead of 2-aminopyridine. It is used for the same indications as piroxicam. Synonyms for isoxicam are floxicam and maxicam. ^ NHS Choices. "Piroxicam (Piroxicam 0.5% gel)". NHS Choices Information, UK. Retrieved 7 May 2014. ^ Weintraub M, Jacox RF, Angevine CD, Atwater EC (1977). "Piroxicam (CP 16171) in rheumatoid arthritis: a controlled clinical trial with novel assessment techniques". Journal of Rheumatology. 4 (4): 393–404. ^ New Zealand Medicines and Medical Devices Safety Authority. "Candyl Medicines datasheet". Retrieved 2006-09-10. ^ Mammen L, Schmidt CP (August 1995). "Photosensitivity reactions: a case report involving NSAIDs". Am Fam Physician 52 (2): 575–9. PMID 7625330. ^ F. Zumstein, E. Assmann, R. Koenigsberger, R. Holzbauer, F. Zunstein, DE 2208351 (1972). Ultrasound influence on the solubility of solid dispersions prepared for a poorly soluble drug. Pereira SV1, Colombo FB2, de Freitas LA3. Ultrasonics sonochemistry.Ultrason Sonochem.2016 Mar;29:461-9. doi: 10.1016/j.ultsonch.2015.10.022. Epub 2015 Oct 31. Scavenging of photogenerated ROS by Oxicams. Possible biological and environmental implications. Ferrari GV1, Natera J2, Paulina Montaña M1, Muñoz V1, Gutiérrez EL1, Massad W2, Miskoski S2, García NA3. Journal of photochemistry and photobiology. B, Biology.J Photochem Photobiol B.2015 Dec;153:233-9. doi: 10.1016/j.jphotobiol.2015.09.024. Epub 2015 Sep 28. Piroxicam, a traditional non-steroidal anti-inflammatory drug (NSAID) causes apoptosis by ROS mediated Akt activation. Rai N1, Sarkar M2, Raha S3. Pharmacological reports : PR.Pharmacol Rep.2015 Dec;67(6):1215-23. doi: 10.1016/j.pharep.2015.05.012. Epub 2015 May 30.